Racing Point can expect a “massive package upgrade” ahead of the Australian Grand Prix with the team having money to spend as needed, according to Sergio Perez. 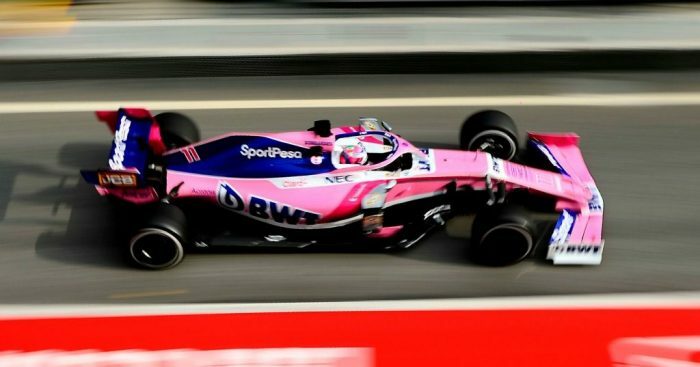 Racing Point, formerly known as Force India, was purchased by a consortium led by fashion mogel Lawrence Stroll last season. The Canadian immediately set about securing the team’s debts and adding a healthy cash injection to the business. That, Perez hopes, will pay off as it means the team can spend money on upgrades and development as they need. Asked whether having Stroll’s millions backing the team made a difference, he told RACER: “Well, yes and no. “Yes, because we’re having a massive package upgrade for Melbourne, but no because we are very limited on parts as in the past. “Right now… you’re going to see low mileage from us, because simply we’re short on parts – we don’t want to risk it too much. “But the most important for us is to understand what’s going on with the balance, how we can make it better, how I can be more comfortable. Racing Point covered the second fewest miles during the opening test but have had a productive week so far in Spain. But like many, Perez concedes that what we are all seeing on the timesheets counts for very little. “We know testing, how it can be sometimes, but certainly there are some good surprises around. “I think the midfield seems to be very, very tight but it’s too early to say. “I was expecting Alfa Romeo to be very strong in the midfield, the Renaults, the Toro Rossos – I think there are not slow teams anymore.